This Sentiment of “Hush Mama” was consciously orchestrated by Trinkie Starr and Rseenal to emphasize an assurance of Jah, to always provide a way of redemption from all the struggles and challenges faced daily, as echoed potently in its composition, “weeping may endureth for the night, but joy cometh in the morn”. This robust message of hope, healing, and love; to all mothers, sisters, and women globally, sets this Song and Music video as “Upful” and personally inspiring, appealing to the very heart of its audience and ultimately the top rankings on local Charts & international mainstream. 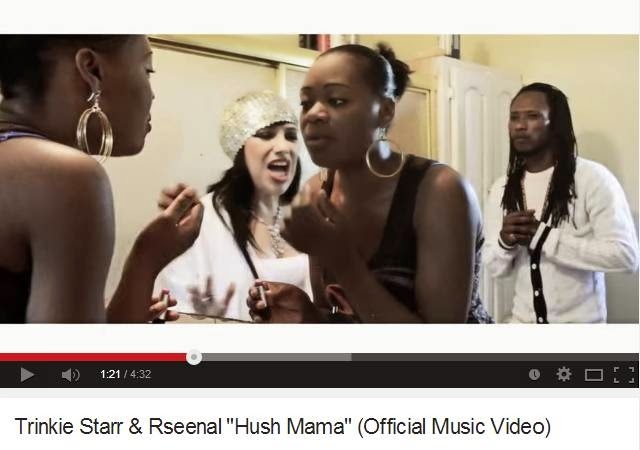 “Hush Mama” was produced, Mixed & Mastered by Makonnen Blake-Hanna of Multicast Entertainment who has done work for established acts such as Lil Wayne, Sizzla Kalonji and Capleton. Recording was done at Iyah Gift's One Hart Music Studios. The tune and Music video will be digitally distributed worldwide through iTunes. Trinkie Starr who is currently residing and touring in the USA will return to the Caribbean to support the promotion of her latest single Hush Mama in her quest to make her indelible mark in the Jamaican conscious reggae music movement. Now we invite the world, to check out this amazing music video directed & edited by Zaken & Giovanni of Zaken Photography. Full joy!